Selling your house can be very stressful. The whole process of getting the house ready for sale, advertising it, dealing with realtors and potential buyers can be time-consuming, tiring and quite expensive. But what if you have urgent matters that require cash? “We buy houses Commerce City” companies are your best bet for selling your house fast. These companies will buy your house even if it needs major repairs – the kind of repairs that you can’t afford to pay for. There are houses that are not worth showing – the ugly or wrecked houses – well, if you have one of these, feel free to call Denver Property Flip at (720)370-9595. When selling a house through a real estate agent or by yourself, you have a lot to deal with. First, you need to identify the areas of the house that need renovations. This is the only way you can be guaranteed top-dollar from the sale. In most cases, buyers won’t be willing to pay more for a house that they’ll be paying money to get into a livable shape afterwards. There are some defects that you can personally identify and fix, but if you cannot do this, for instance, in cases where you have inherited a house in a different city, you can hire someone to handle the business from the other side. A good start would be a local real estate agent, but don’t settle on the first one you get, instead, ask around for more agents and compare what they have to offer versus what you want. This is the person you can also ask about what repairs are needed in order to get the house ready for sale, however, remember not every renovation you make will have a 100% return. The price tag involving skilled contractors to handle the renovations and a real estate agent may be high, but you don’t have so many options unless you want to sell to we buy houses companies. Be careful with the choice of contractors because some have a reputation of dragging the process. Unless you have a specific one in mind, you might want to inquire from the local real estate agent about the best and reliable contractors around. Some major renovations such as replacing rooftops, sewer system, kitchen, bathrooms or even the foundation of the house may cost you thousands – money you won’t be able to get back after selling the house. Now that you have identified a suitable and reliable real estate agent alongside a contractor to work on the repairs of the house, choosing the method of selling the house is your next task. There are several channels. One of them is selling it to cash buying companies such as Denver Property Flip while others are selling it by yourself, through a realtor or even via an auction. If you can handle the repairs and staging of the house to make it saleable – along with the wait it takes when selling a house by yourself or through a realtor – you don’t need to opt for cash buyers. However, there are other reasons that drive people into selling their houses. Things like foreclosures, divorce, maybe someone has inherited an unwanted house and needs to offload it and so on. If you are facing foreclosure, for instance, you will want the quickest way to get money that you’ll use to clear the mortgage and avoid foreclosure. For divorcing couples, selling a house is a way for them to clear the mortgage and get some extra cash to start off a new life somewhere else. These are people that need a quick house sale, something a real estate agent can never guarantee. 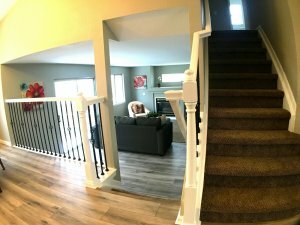 If you are looking for a method of selling your house that will pose you no hassles, Denver Property Flip is your best bet. You don’t need to repair your house because we buy houses Commerce City as-is. This is the simplest and hassle-free way of selling your house because it not only eliminates the need for you to repair or stage the house, but it also puts an end to your urgent need for cash. Once we strike a deal, the money will be ready after just 5 days.